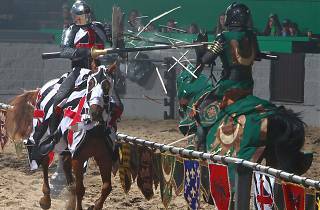 This epic show combines a theatrical performance, an equine show, competition, a multi-course meal and a time machine all under one roof. 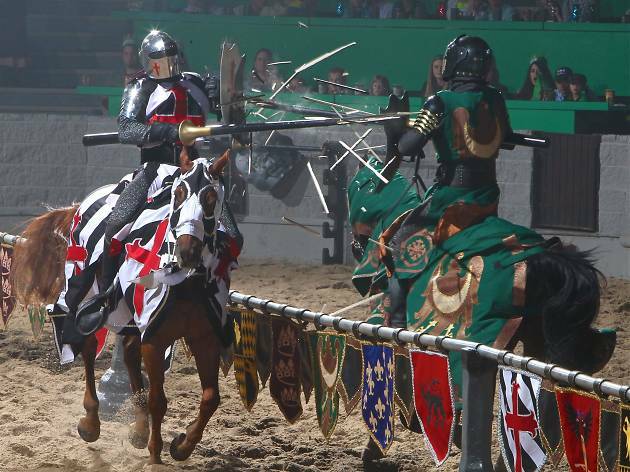 Here, you'll travel back to the medieval age and watch knights battle it out as you eat—with your hands, obviously—on garlic bread, tomato bisque soup, roasted chicken, sweet buttered corn and potatoes at the Medieval Times Dinner & Tournament. You'll be sectioned off into groups so you can root for your section's knight to win the battle.